ScooterDoc specializes exclusively in Vespa Repair LA. With a combined 100, 5-Star Reviews, throughout the internet…it’s no wonder that clients often tell us the bike now runs “Better Than New”. 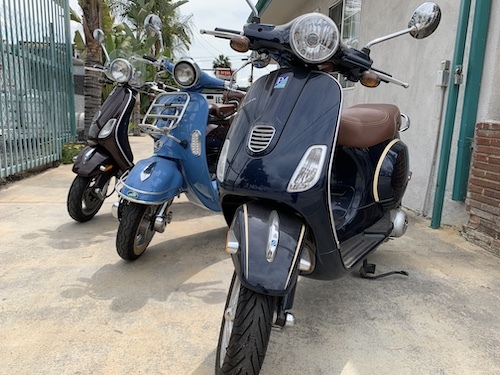 Looking For A Reliable Vespa Repair LA Mechanic? Rich, owner of ScooterDoc, brings a refreshing breath of fresh air to the scooter scene in LA. Mobile scooter mechanics in Los Angeles are servicing bikes in a way that’s an absolute disservice to the bike’s owner. Some are doing maintenance on bikes that completely ignore common practice (and even common sense). But you wont find that at Rich’s shop. There you will find that he takes extreme care in handling your treasure, and he goes well beyond what’s expected to ensure that the bike is functioning at its highest potential. His advanced knowledge with scooters allows him to troubleshoot and locate the cause of the worst issues. He is capable of doing the most complex tasks like rebuilding engines, and he uses nothing but the best parts. Bring your bike by and pay us a visit…even if it’s just to say “hi”! ScooterDoc is locally owned and operated by Rich, a Military Veteran and life long resident of Southern California. He opened his doors back in May of 2004, 15 years ago. Since then he has treated clients and their bikes like royalty. It’s common for clients to rave that the bike runs better than new once he finishes working on it. Rich has his own 36-point inspection where he’s scans and inspects areas of the bike beyond a simple oil change or tune up, because he keeps finding bikes with issues like hand tightened screws or bikes with the wrong oil placed inside. Call Us First! We’ll treat both you and your ride like members of the family! 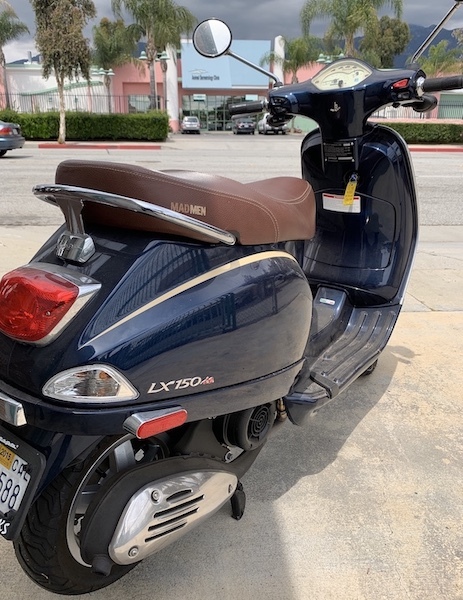 We also regularly get called upon by Hollywood celebrities, directors, and producers when they need their Vespa serviced by the best. We prefer not to share names, but this bike came into our doors recently. Perhaps you can guess which television show this bike owner was associated with (see photo). But you don’t need superstar status to be treated like a V.I.P. here. We’ll give you the red carpet treatment when you bring your scooter to be serviced by the best Vespa repair shop in Los Angeles. We have the most 5 Star reviews around! Vespa scooters are meant to be prized and cherished, which is why we only use the hight quality parts, like NKG Spark Plugs, and the highest grade synthetic oils recommended in the Vespa Service Manual. We’re military veterans and we are very much by the book. We stick to every detailed recommendation outlined by the manufacturer to ensure that your bike has a long prosperous life. And you can rest assured knowing that your bike will be returned better than how it arrived. You will not find the same level of delicate care or attention to detail anywhere in Southern California, and we offer a 100% Satisfaction Guarantee on all of our services. 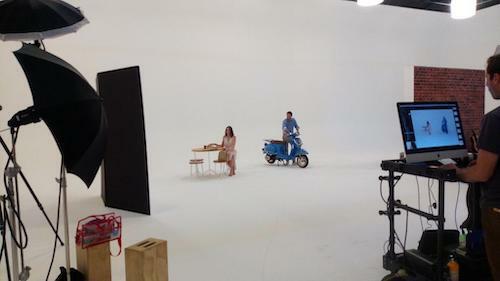 Hollywood regularly calls on us to provide Vespas scooters for photo shoots and commercial advertisements. This is a shot from a Capital 1 photos shoot in LA on April 17, 2019. They were using the same blue scooter that you’ll see in additional photos on the website. We truly are the ones to call for all of your Vespa needs. Pick up the phone and reach out to us. We look forward to hearing from you!